Mulching is easy. Just dump some in your flowerbeds and you’re done, right? Not so fast. 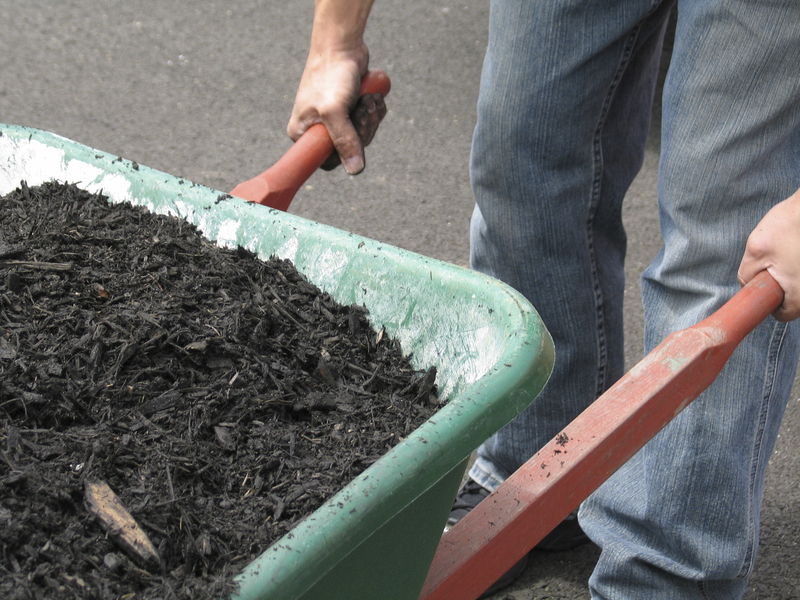 If you mulch improperly, you’re not just wasting money—you might be damaging your plants, too. The biggest mistake we typically see when it comes to mulch is how much gets used. Most people think more is better—not true. Too much mulch can keep your plants from getting the air they need, and can also prohibit them from getting adequate sunlight. This stunts the growth of your plants and can leave them looking frail and unhealthy. When spreading mulch, be sure to never exceed a three to four inch layer on your beds. This includes mulch that’s already there, so if you’re piling more mulch on top of an old layer, be especially careful you’re not putting down too much. By mulching correctly, you help your plants grow and thrive in many different ways. Perhaps the most important way is water retention. A healthy layer of fresh mulch helps plants retain water by holding in moisture, which means your plants don’t have to be watered as often and don’t need to work as hard to get the water they need. Another way a proper mulch job benefits your plants is by regulating temperature. Mulch protects plants from extreme cold and extreme heat. This can be especially important in the summer as hot sun can damage your plant’s roots. There’s a good chance you might not have enough mulch to cover every bed in your landscape with three to four inches. So how should you prioritize which plants and flowerbeds get mulch? As a good rule of thumb, the newer the plant, the more it will benefit from fresh mulch. Also, freshly weeded gardens are a great place for mulch. That’s because mulch is good for helping to keep new weeds from growing in your beds. The growing season is almost here. And while it’s okay to mulch in any season, late spring to early summer is an excellent time to put down fresh cover on your beds. Just be sure you do it right. Check out our Mulch 101 video and if you’ve got any questions about mulching, landscaping, or plant health, don’t hesitate to give us a call at 317-575-1100 or simply fill out the form below. I would like to receive the Engledow Group e-newsletter. This entry was posted in At Home, At Work, Estates, Exterior, Green Scene by Eric Engledow. Bookmark this link.